Remember how Bill Nye the Propaganda Guy insists that acceptance of molecules-to-medical doctor evolution is essential for the advancement of science? Other Darwinistas make this ridiculous remark as well, which has been refuted many times. 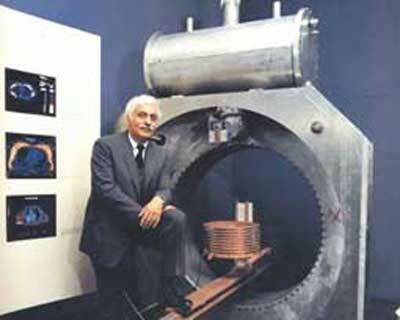 One of the examples that Ken Ham used in his debate with Nye was Raymond Damadian, biblical creationist and inventor of the magnetic resource imaging machine. Possible image source: Answers In Genesis. Used under Fair Use provisions. Sometimes, atheopaths will say something like, "You shouldn't be using the computer because it was invented by an atheist!" 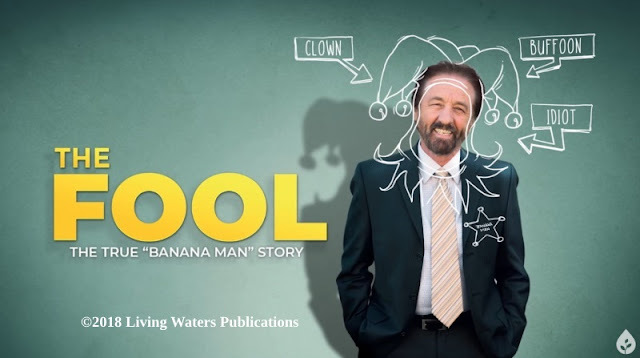 To answer a fool according to his folly so he's not wise in his own eyes, we can say, "Hope you never need an MRI, because that was invented by a Christian who is a biblical creationist". Besides, the "father of the computer" was Charles Babbage, who was a Christian. Dr. Damadian was interviewed on Real Science Radio. There is some interesting personal history as well as the background on the development of the MRI, discrimination he experienced, and some more technical matters as well. The "ethics" in the industry are severely lacking, and Dr. Damadian had to protect his copyrights several times. You will also hear about how the Evo Sith protect their bigotry over at Wikipedia, and the biased reporting Damadian experienced.